When unexplained delays pushed Apple’s smart speaker back from a 2017 debut, Apple said it needed “a little more time before it’s ready” and promised an “early 2018" release. Now it seems Apple is making good on its revised launch window, as the HomePod will officially go on sale on February 9th. When it was first unveiled last summer, the HomePod’s main marketing advantage was its allegedly superior audio quality. 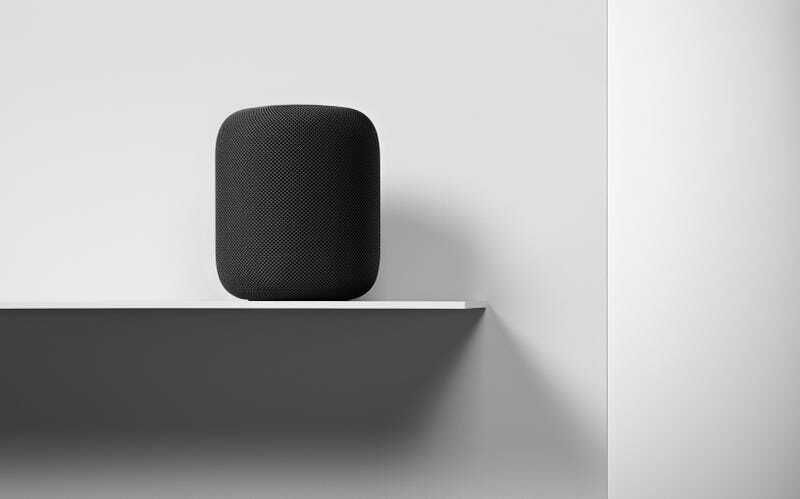 The device features a large woofer and seven beam-forming tweeters arrayed 360 degrees around the HomePod’s body. However, in the time since Apple’s announcement, both Amazon and Google have released their own premium smart speakers with high quality audio, which puts Apple in the awkward position of having to play catch-up. At launch, the HomePod won’t support multi-room audio, which could be a real bummer for people with dreams of using a HomePod to control music throughout their home. According to Apple, that functionality will arrive sometime later this year as part of a free software update. That said, the HomePod can perform most other traditional smart speaker duties, such as setting reminders, creating to-do lists, and controlling any Home Kit-compatible devices like smart lights or a thermostat. Update January 26th, 9:40am: Pre-orders for the HomePod are now open on Apple’s website.